The project is aimed at separating the area where parents drop off and pick up their children from the bus loading and unloading area. 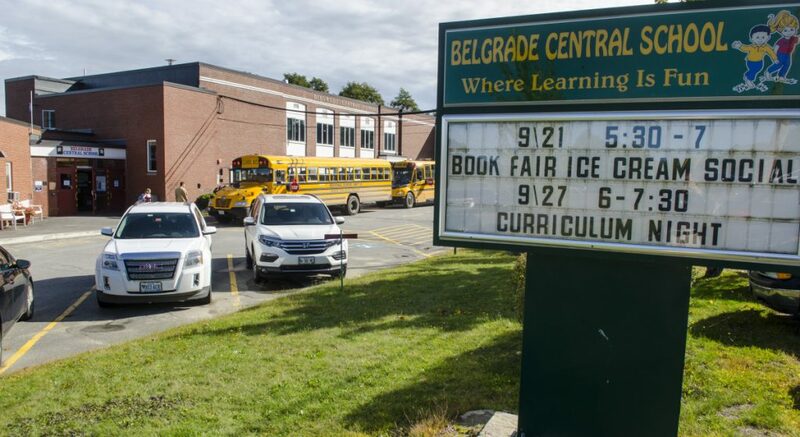 Safety is driving proposed changes for student drop-offs at Belgrade Central School. 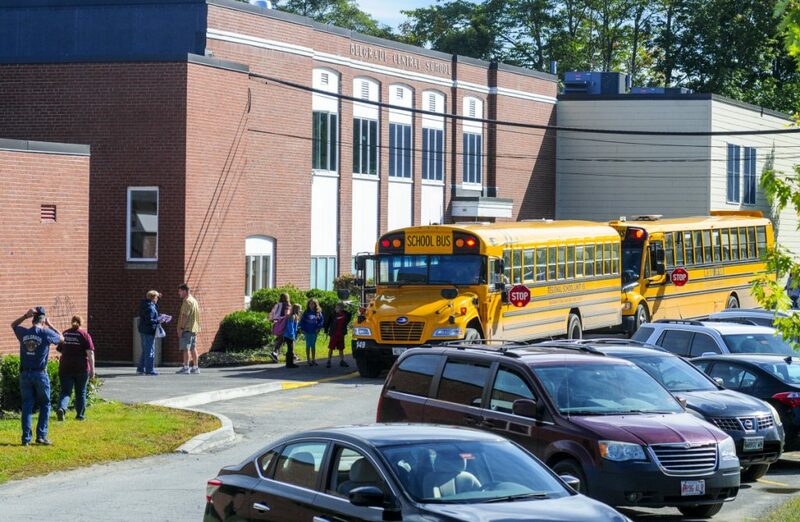 “This dropoff /pickup is very congested,” said Carl Gartley, superintendent of Regional School Unit 18, which includes the Belgrade school. “It’s always been that way. Parents, kids stepping off the bus, they all go through that front loop. “The goal is to separate where children are being dropped off by parents versus where the buses are going,” he added. 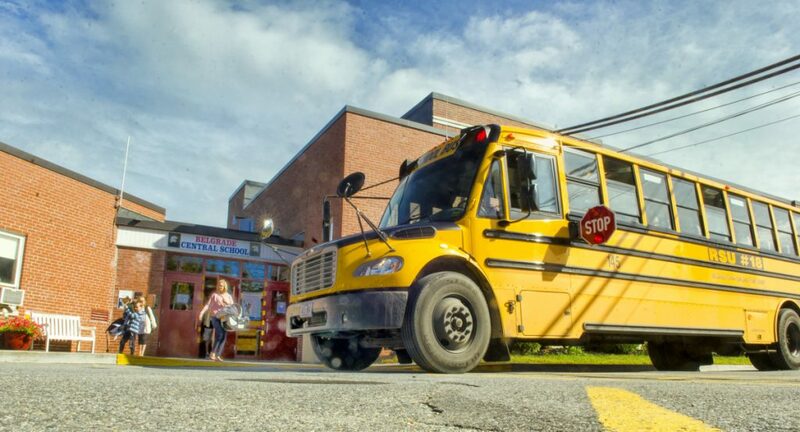 The school, with its enrollment of 245 children in kindergarten through grade 5, sees about nine buses in the morning and afternoon, according to Belgrade Central School Principal Gwen Bacon, and students attending Messalonskee Middle and High schools transfer buses there as well. “The separation will provide a safer environment for both the school bus drivers and more importantly, the students that attend that school,” said a letter by Boyd Snowden, president of Snowden Consulting Engineers Inc., submitted with the proposal to the Planning Board. 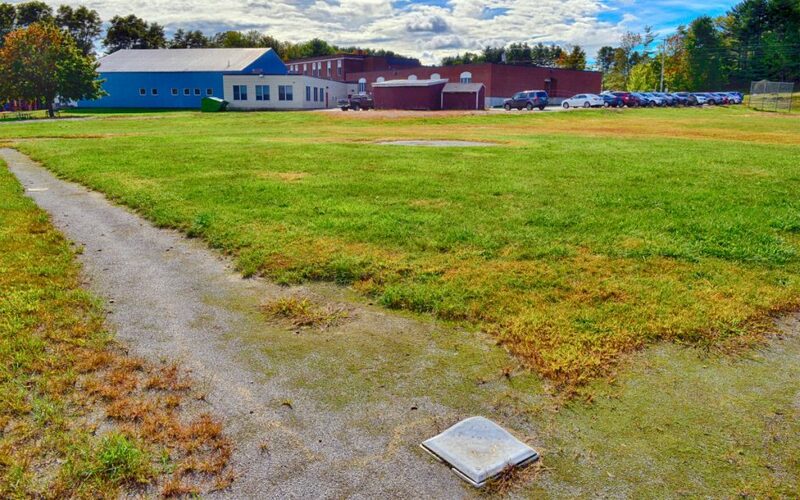 At the end of the project, which is expected to disturb 1.68 acres, the school will have 57 parking spaces, including three spaces for parking for the handicapped, and 363 feet of new road or driveway. The school is on 9.4 acres, with the entrance off Depot Road. Gartley said Friday that construction is planned for the summer of 2019. A proposed new loop for cars will be on the north side of the school in part of the area shown in this photo taken Friday beside Belgrade Central School. Initially the district had hoped to do the project this year, but Gartley said the short timeline and the fact that construction contractors have been busy this year caused the bids to come in much higher than budgeted. About $285,000 in funding for the project was included in a $13.9 million bond that addressed a number of needs in the district. Voters approved it last November. The district also is looking at architectural proposals to reconfigure the traffic pattern at the adjacent Williams Elementary and Messalsonskee Middle schools in Oakland. “That is extremely busy in the afternoon,” Gartley said.